Lyndon are thrilled to have been awarded the Future Construction award for our innovative Site Manager app. 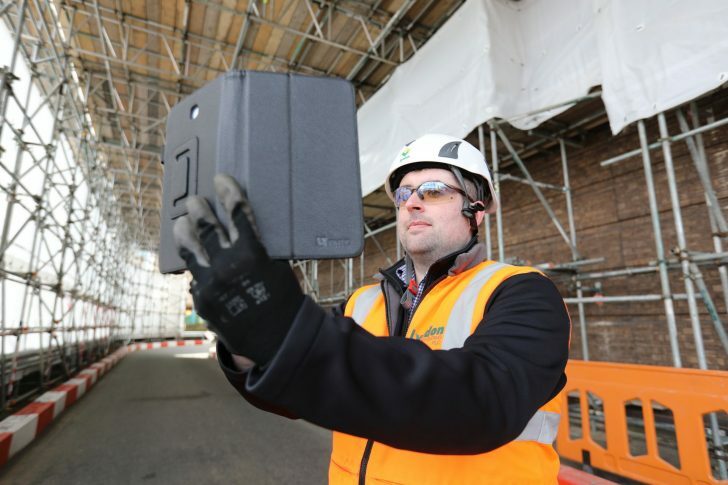 The coveted construction award – a major new content partnership between videographers The B1M and main contractors, Kier Group – has been created to explore innovation and digital technology in the sector. Entrants from across the construction industry were invited by The B1M’s huge audience to submit their favourite innovations… and Lyndon topped the lot! Rob Lynch, CEO of Lyndon Scaffolding said: ”We are very pleased to have been recognised with this award for our innovative approach by such cutting edge construction media and industry people in the know at Kier Group. 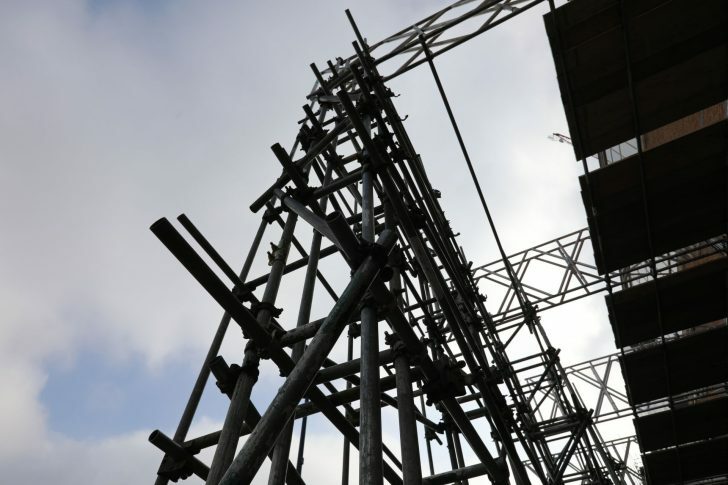 “Despite the scaffolding sector being a traditional industry, Lyndon is at the forefront of change and the use of modern technology, products, logistics and materials to stay ahead of the game. 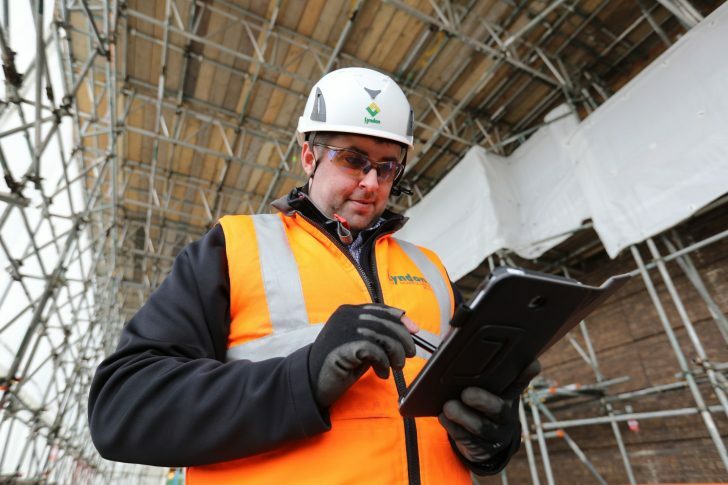 The Lyndon site manager app, which started use in February 2016, runs on both Android and Apple devices, and uploads a record of each inspection to the cloud. It works both online and offline, and is designed to incorporate photographs and signatures. This creates a consolidated, easily accessible repository for the reports, which can be shared and viewed digitally by all relevant stakeholders. “The feedback has been very positive from both users and the end clients who can see a real difference in the quality of reports,” adds Rob Lynch, adding that Lyndon and CADS are continuing their close collaboration, updating the product and adding new features, as well as working on new ventures. 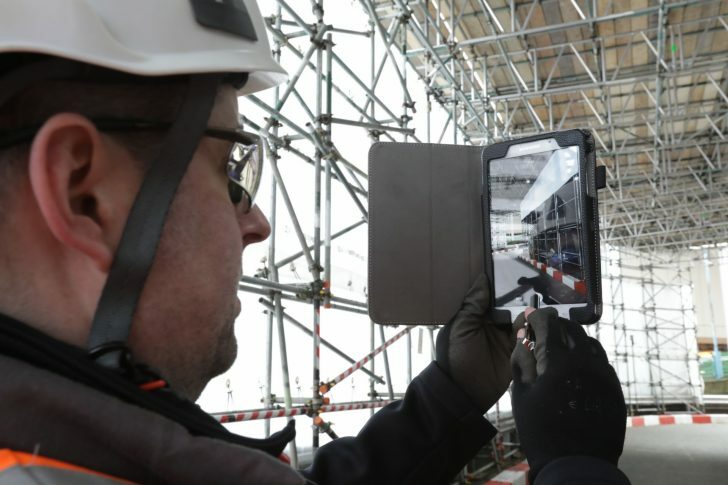 Future Construction is exploring how Kier Group is embracing innovation and digital technologies at a transformative time for the sector, through a series of short documentaries. The content, produced in partnership by The B1M and Kier, is freely distributed on YouTube and a dedicated microsite. Lyndon Site Manager is available exclusively to our customers. Image above courtesy of The B1M.